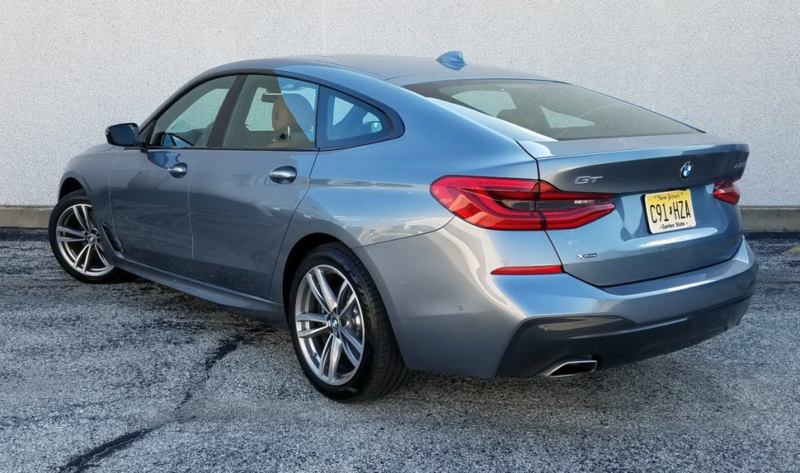 As you might guess from the numerical part of its name, the BMW 640i xDrive Gran Turismo fits in between the Bavarian automaker’s 5- and 7-series sedans. However, it doesn’t exactly fit in with them. The new-for-2018 6-Series Gran Turismo essentially replaces the previous 5-Series Gran Turismo in BMW’s lineup. The new 640i Gran Turismo shares elements of its underpinnings with the 5-Series sedan (which was redesigned for 2017), but it’s 3.8 inches longer in wheelbase and 6.3 inches longer overall. The 640 GT is a hatchback of ample cargo capacity that’s new—sort of—for 2018. 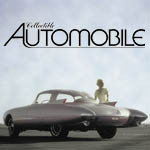 It rides an exclusive 200.9-inch wheelbase that’s roughly between the spans of the two more famous conventional sedans. The 640 effectively replaces the discontinued 5-Series Gran Turismo hatch, keeping BMW in the submarket for premium midsize liftbacks that has sprung up in recent years. Where the 5 Gran Turismo came with choices—rear- or all-wheel drive; turbocharged 3.0-liter inline 6-cylinder or 4.4-liter V8—the 640 GT for the U.S. market is configured solely with AWD and the six. Our test vehicle’s cabin was outfitted with handsome “Cognac Dakota” leather upholstery. The $2150 Executive Package adds a head-up display, surround-view camera display, soft-close automatic doors, and other amenities. BMW asks a minimum of $70,695 (with delivery) for the 640i Gran Turismo. Contained within that sum are an 8-speed automatic transmission with steering-wheel-mounted shifter paddles and launch control; selectable “Eco Pro,” “Comfort,” and “Sport” driving modes; 4-wheel disc brakes; and 19-inch alloy wheels wrapped in all-season run-flat rubber. Up front are adaptive LED headlights with automatic high-beam control and LED fog lights. Overhead is a panoramic moonroof. At the rear is a power liftgate. Not surprisingly, cargo space and versatility is a Gran Turismo strong point, at least when compared to traditional luxury sedans. There’s 31 cubic feet of storage space behind the rear seats, and 65 with the rear seats folded. The interior features leather upholstery, 16-way power front sport seats with 4-way lumbar adjustment and driver’s-seat memory, and ambient lighting. A 3-spoke leather-wrapped steering wheel with power tilt and telescope functions is at the driver’s disposal. The list of comforts and conveniences runs to keyless entry, automatic climate control, digital instrument cluster, remote-services access, an AM/FM/CD/MP3 sound system with HD and satellite radio, and navigation. Built-in tech includes BMW’s iDrive 6.0 central-control system for audio, navigation, and apps; a 10.2-inch touchscreen; voice control; enhanced USB and Bluetooth connectivity; a Wi-Fi hotspot; and wireless charging. The turbocharged 3.0-liter inline six engine and 8-speed automatic transmission deliver smooth, satisfyingly strong acceleration. 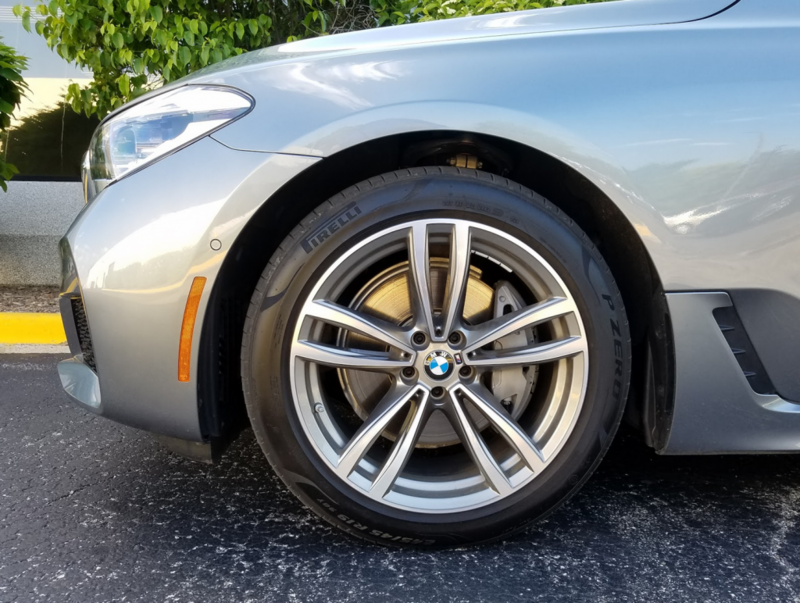 A couple of trim packages are available for the 640i Gran Turismo. The test car was kitted out with the M Sport group, a $1200 extra that contributed to its full price of $84,010. The package pitches in lower-body aerodynamic enhancements, distinctive light-alloy wheels, dark “Shadowline” exterior trim, a SensaTec vinyl dash covering, an anthracite-colored headliner, fineline ridge wood trim, and an M-brand steering wheel. The single biggest add-on to the test car was the $4100 Dynamic Handling Package with integral active steering, air suspension, roll stabilization, and variable dampers. To this tester, ride in the Comfort mode was cushy enough to verge on wallowing, with a little roll in cornering. However, this will probably feel right for most driving like day-in/day-out commuting. Punching up Sport induces a firmer ride that’s less forgiving of road imperfections, plus a moderate increase in steering effort. Passengers enjoy a spacious cabin with excellent legroom in both rows and genuine 3-across adult seating in back. (One rear-seat passenger with some ride-sharing experience said it would be the ideal Uber car—yeah, if Uber drivers were inclined to use an $84,000 BMW as a work car. . . .) Driver vision suffers a bit from thick A- and B-pillars, but the over-the-shoulder view is quite good thanks to thin rear-door and roof pillars. Nineteen-inch M light alloy wheels are included in the $1200 M Sport package. Personal-storage options include a low-set glove box, split-top console box of modest dimensions, pull-out tray to left of steering column, big front-door pockets with bottle holders, smaller rear-door pockets with holders, hard-sided pouches on the backs of the front seats, and a shallow covered bin in the pull-down rear armrest. Two covered cup holders reside in the console in a space shared with the wireless charger; two more pop out from the rear armrest. This tester’s two biggest beefs with the 640 GT were on the inside. The lesser of the two was a driver’s seat in which he never quite got completely comfortable. Adjustments were made to the seatback angle and lumbar firmness, but he always felt a little bent at places he didn’t want to be bent. The topper, though, was the completely aggravating iDrive infotainment control. Mastering it will take study. That takes time, and we’ve always been told that time is money, so add that on to the cost of ownership. Cargo space under the hatch loads at bumper height onto a flat floor. Under the floor are two sizeable bins for more storage, and a piston props up the floor so you don’t have to hold on to it with one hand while trying to place or remove items in the bins with the other. There are 31 cubic feet of cargo room behind the rear seats, which fold in a 40/20/40 split to create an expansive load area. Note that the seats don’t fold truly flat, and there is a narrow gap between folded seatbacks and the rest of the cargo floor. At least levers on sides of the cargo bay make it convenient to remotely release the seatbacks. With its powertrain and interior room, the 640i xDrive Gran Turismo does what other large BMWs do. (Unfortunately, the same can be said for its infotainment operation.) But its cargo-handling capability places it apart from the norm. 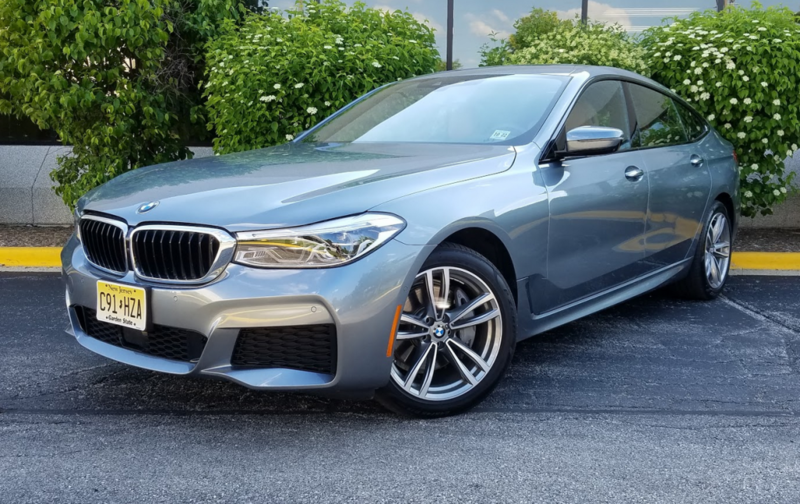 The genre-bending BMW 640i xDrive Gran Turismo is a curious pastiche of elements blended into the platform of a premium midsize sedan–the tallish body build is a bit SUV-like, the fastback roofline adds a sporty flair, and the hatchback configuration adds cargo versatility. 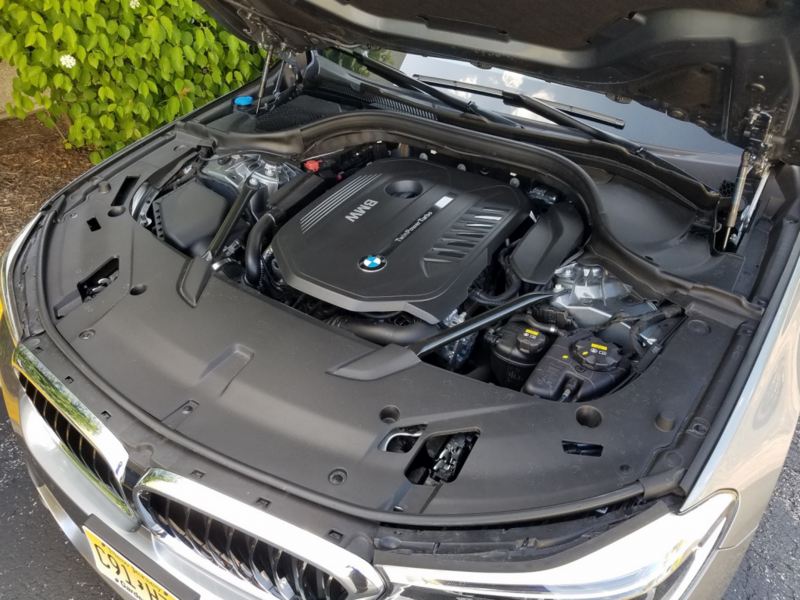 If all of this adds up to more than the sum of the parts for you, and you’re comfortable paying a premium over more-traditional BMWs, then a Gran Turismo should fit your needs. Written by: The Daily Drive staff on July 25, 2018.on July 26, 2018.